The 5-year strategic plan for the Michigan Department of Natural Resources Fisheries Division has been released for review and public comment. Since this coincides with the public input periods for the State Forest Management Plan, Comprehensive State Trail Plan, and the completion of the “Blue Ribbon” Parks Plan, we have noticed a recurring theme. As we’ve discussed on this site in the past, the goal of increasing the positive economic impact being derived from natural resource management in Michigan is very evident in each of these plans. As we’ve also discussed on this site, identifying new opportunities to enhance resource-related economic development in Michigan remains an appropriate element of a diversified state economy. We are beginning to fear, however, that the pendulum has swung so far in this new direction that the original purpose of most of these activities will soon be overlooked – our ability to individually pursue our own form of escape from the economic, social, and cultural pressures which increasingly represent the bulk of our daily lives. After all, it was his belief in the personal restorative powers of the outdoor world which led Theodore Roosevelt to aggressively expand our nation’s inventory of public land. This observation is not intended to be an indictment of the Fisheries Plan, or any of the others. It is merely intended to highlight what appears to be a fundamental change in the mission of the agency charged with the management of our natural resources. This shift in emphasis would invite far less skepticism were it not for the fact that many of the proponents of this new priority were less than one year ago contending that Michigan had too much public land as a part of the Land Cap debate. One example of the tradeoffs involved in balancing these objectives is a recommendation appearing in the new Comprehensive State Trail Plan which proposes to open all lower peninsula forest roads to ORV use. In many cases the line of division between a State Forest road and a former logging trail is difficult for the average rider to distinguish. When these “trails” are combined with those trails newly proposed, those currently designated ORV trails, and the many northern Michigan County roads which are already open to such use, good luck finding solitude on a summer weekend in many of our area’s State Forests. The unfortunate irony of this prioritization is that these same resources had nothing to do with the 2008 Financial Crisis, the bursting of the real estate market bubble, or growing public debt. In fact, one could effectively argue just the opposite. Even during the darkest times, Michigan’s economy has consistently been underpinned by these same natural amenities. Travel, tourism, hunting and fishing have not only contributed to the quality of life here in Michigan, but have also helped stabilize the historically cyclical nature of the state’s economy. We encourage others to make their own judgements as to what, if any, of the recommendations contained in these plans potentially compromise their non-economic value and pass those comments on as a part of the process. It remains our view, however, that the increasing emphasis on financial rate of return is not the best way to measure the true value of our state’s natural resources. Our forests, waters and wildlife are not merely crops that need better marketing. Oh, almost forgot. 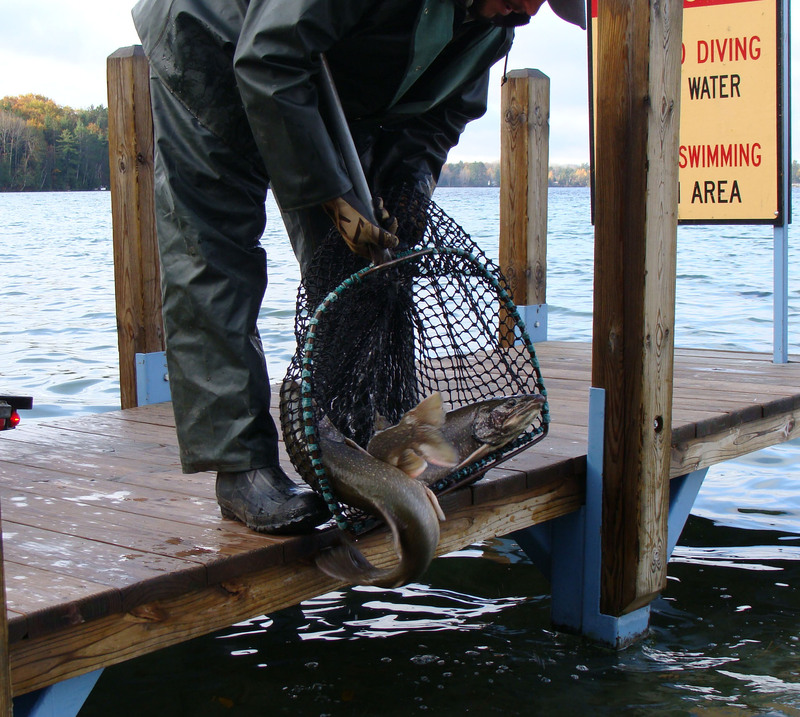 To view the Fisheries Strategic Plan (click here: DNRfisheriesStrategicPlan2013) and comments can be made at mailto:DNR-Fisheries@michigan.gov.